The main cause of snoring is relaxed muscle tension in the back of the throat, which can lead to a narrowing of the airways and the vibrations of relaxed muscle tissue. Snoring occurs when there is a partial obstruction in the airway. Snoring is not an illness, but it is a symptom. Snoring effects 45% of the adult population. Snoring is caused from the vibration of the soft tissues in the back of the throat as the body attempts to overcome airway obstruction. If the tissues are more relaxed or if the airway becomes more obstructed, the snoring likely becomes worse. The obstruction can occur anywhere long the upper airway including the throat and nasal passages. Obesity/ being overweight. If you are overweight, your body can build up fatty tissue around your neck which can cause snoring. Excess abdominal fat impedes breathing by making the diaphragm work harder. If your BMI (Body Mass Index) indicates you are overweight, this can certainly contribute to snoring. Taking TRT (testosterone) can make you snore from weight gain. Age. As you age, your throat becomes narrower as the muscles in your throat decrease. Your muscles and tissues generally become weaker with age and this can cause snoring. Muscle tissue tone decreases with age resulting in more relaxed tissues and contribute to snoring. Being male. Men generally have narrower air passages than women (source). The body fat distribution is also different. This is more likely to cause a man to snore. About 40% of adult men habitually snore compared to only 24% of adult women, according to the AASM. A deviated septum. A deviated septum in your nasal passageway can impair airflow and cause snoring. As much as 80% of the general population has some form of septum deviation. Pregnancy. Extra tissue builds up around the throat and neck during pregnancy. Allergies. If your airway is irritated from an allergic reaction, you may experience difficulty breathing and this can cause snoring. Dust mites can accumulate in pillows and cause an allergic reaction that can lead to snoring. Nasal congestion and sinus problems. You may snore if you have ongoing nasal inflammation or rhinitis. You may not know you are frequently congested at night until you snore. If you have a cold or sickness, you may have difficulty breathing at night due to the congestion in your nose that is caused. This difficulty you experience breathing may cause you to snore. This relates to nasal obstruction. Alcohol and/ or drugs. Alcohol and drugs both depress the central nervous system and relax muscles in your throat which contribute to snoring. Drugs that are taken for allergies, depression or anxiety can contribute to snoring. Smoking. Smoking irritates your nasal passageway, enlarging it and making it harder for air to flow. Sleeping on your back. 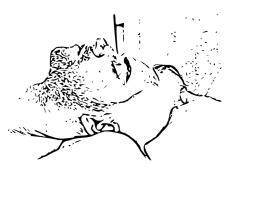 Your sleeping position can cause snoring because the tongue drops back over the airway. If you sleep on your back, your airway is more likely to be obstructed during sleep than it would be if you were laying on your side. Not elevating your head. If you do not use a pillow or if your pillow does not elevate your head much while sleeping, your airway is more likely to collapse. This lack of elevation can cause snoring because your airway is more likely to collapse because the tongue drops back over the airway. An overly soft pillow can prevent your head from being elevated. Enlarged tonsils. When tissues in the nose, mouth or throat enlarge, snoring can occur. In children, enlarged tonsils or adenoids are a common cause of snoring. Causes airway obstruction in the back of the throat. Obstructive sleep apnea. Having sleep apnea can cause snoring. Apnea is cessation of breathing and can be caused from airway obstruction which may cause snoring. Eating large meals before sleeping. When you eat, your throat and tongue muscles may become more relaxed, contributing to snoring. This is usually more about the abdominal breathing than relaxation, however. Eating dairy before sleep. Dairy products and even soymilk are more likely cause snoring than some other foods you might eat before sleeping. This is usually related to milk allergies. Loss of muscle tone. If your throat muscles are not toned, from lack of fitness, you may be more likely to snore. Nasal polyps. Having a soft, painless growth (nasal polyp) in your nose or sinus passage can contribute to snoring. Being at high altitude. When you are at a high altitude, where there is less oxygen, you may be more likely to snore than you would be at sea level due to the increased need for air. Being at a high altitude makes sleep apnea more pronounced. Dry air. If the air is too dry, the membranes in your nose and throat can become irritated. Air which is not humidified is more likely to cause snoring. Long soft palate and/ or uvula. If you have a long soft palate or uvula (the tissue that hangs in back of the mouth), this can narrow the opening between the nose and throat. When these vibrate and bump one another, the airway becomes blocked and this can cause snoring. Enlarged turbinates in your nose. Inside your nose are turbinates, these are bones that divide the nasal airway. If you have enlarged turbinates, you may be more likely to snore due to the narrow air passageway in your nose. Pollution/ bad air quality. Air pollution is linked to sleep breathing problems. This results in irritation and inflammation, blocking the airway. Bad sleep hygiene. Poor sleep habits, such as working long hours without sleep, can make your muscles floppier and this can cause snoring. Sleep deprivation can enhance airway floppiness. Dehydration. Secretions in your nose and soft palate can become stickier when you are dehydrated and this can increase snoring. Large tongue. If you have a large tongue, with respect to your jaw size, this could cause snoring. The exact cause of your snoring could be from one or more of the common causes which lead to snoring. The best way to determine the cause of your individual snoring situation is to monitor it. You can easily record various factors each night which may be effecting you before you go to sleep. It's important to know the underlying cause of snoring so that you can treat it. Isolate factors which make cause your snoring each night and you'll have a better idea of the cause. According to the American Academy of Otolaryngology-Head and Neck Surgery, snoring effects 45% of the adult population. There is not a single cause for snoring. To figure out what is causing your snoring, you can keep a journal or use a snoring app. We have reviewed some of the most popular snoring apps on this page. Over the course of a few days or weeks, you should be able to more clearly see the cause of your snoring. This information can prove very useful and allow you to make an informed decision on the underlying cause of your snoring. For example, you can log your weight plus each night to get started. After that, you can log what you ate before sleep, how much of it and when. You can also log if you drank alcohol (how much of it), smoked or took drugs (and what they were) before you go to sleep. Once you have some basic information about your body and what you consumed before you go to sleep, you can start logging the various remedies you want to try. You can start by trying a snoring mouthpiece to see if this reduces your snoring. You can then isolate if the snoring mouthpiece, and the specific setting it was in, made a difference in your snoring. Each night, you can record the audio of your time sleeping. Each day you can then analyze if the various factors and remedies increased or decreased your snoring that night. This way, you can determine the cause of your snoring. What's The Best Way To Record and Track My Progress With Snoring? The best way to track your progress towards not snoring is to use an app focused on snoring. By using it, or a similar app, you can log information and see progress over time. For example, all else being equal, you can see in a few nights if a snoring mouthpiece reduces the volume and intensity of your snoring. In the process you may also want to try a nasal decongestant or nasal strips to see if that helps as well. You could determine if your snoring is more caused by your mouth or nose in the process. By recording how long and loud you snore and knowing exactly what the contributing factors were, you can more easily determine your specific snoring cause. It is much better to use a snoring app than to rely on a sleep partner alone. While a sleep partner may give you useful insight such as your sleeping position, they cannot as easily determine how loud or long your snored. Make sure when you record yourself that you are isolating the person who is snoring. If you have a sleep partner or other people in the room, make sure they do not snore! The best way to use a snoring app is to be in a room alone. You can easily get a good idea of what the cause of your snoring is by taking note of all the contributing factors and remedies before you go to sleep and then analyzing the results. If you are completely lost after using a snoring app then you may be best seeing a doctor who could then perform a sleep study on you. Having information from self-recorded snoring apps may prove to be useful for a doctor as well. Through simply keeping a log of information and matching it up with results each night, you can more easily see what the underlying cause is for your snoring. You may determine that you jaw simply needed to be slightly forward using a snoring mouthpiece. You may realize that your nasal passageway was blocked or that you are more sensitive to dust than you thought. You could also realize that your sleep position was causing you a problem. By considering the possibilities that may cause your snoring and then seeing how various remedies effect it, you should have a clear picture of your snoring. Once you know the exact cause of your snoring, you can take action. It may be simply wearing a mouthpiece or it may be just loosing a bit of weight. You will only know your individual snoring cause through tracking various causes and their effects on you while you sleep. Once you have identified the cause of your snoring, you can look into treatment options. We have created a page detailing various snoring treatment options here. Treatment of snoring may not be about one solution but rather a few different solutions.